Warren Buffett's Berkshire Hathaway has increased its stake in Apple by 55 percent, taking its investment in the company to $1.46 billion (via Reuters). Berkshire owned 15.23 million Apple shares as of June 30, up from 9.81 million shares as of March 31, according to a regulatory filing. 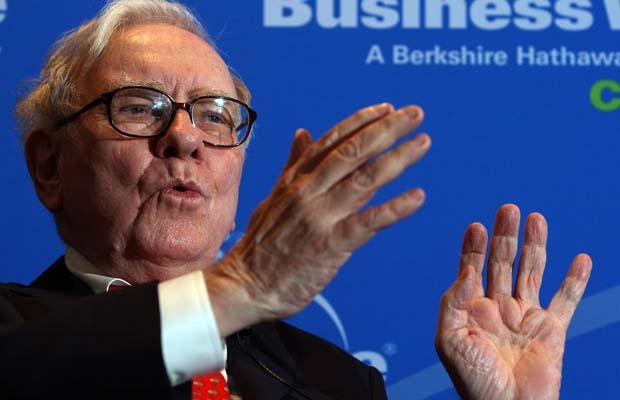 It's unclear whether Buffett himself or one of his deputies are behind the investment. The move by Berkshire Hathaway took advantage of a difficult time for Apple on the stock market. Between April and June, Apple's share prices dipped 12 percent to $95.60 per share, following the company's first revenue decline in 13 years during the previous quarter. Despite that, Apple shares are up more than 10 percent in the last month, after the company rebounded on news of better than anticipated business performance in its last earnings call, partly due to strong iPhone SE sales. Back in March, Berkshire revealed its $1.2 billion stake in Apple, causing shares to soar 9 percent and breach the $100 mark shortly after other investors revealed they had moved to dump Apple stock. That's a pretty big investment and seemingly at a good time to buy Apple shares too. NO! NO! NO! Buffett, you fool! Haven't you been reading MR comments???? Apple is doomed. They can't innovate. They are anti-consumer, only care about watch bands and are about to fire Cook, Cue and Jony. Great investors always look to invest in great companies. It's good to see these big bets being placed on Apple. Despite all the pessimism on here, Apple is in a great position and continues to make the very best products in all the categories it competes. Buy low and sell high. He bought in June when the stock was at a low point he will probably sell soon. His interest is purely profit and not Apple per se. While yes he's in it for profit he tends not to move in and out of any company quickly. I've studied his investing for over 20 years. I sold my financial business a few years back. . He is far from an active player. He doesn't try to step in and turn companies around or lead them in new directions. He buys them for the value they already have. Except when he doesn't. His company Berkshire Hathaway is itself the result of a takeover. I realize he isn't a corporate raider and prefers to be non-confrontational but by the same token he doesn't buy large stakes in companies and then unplug his phone.